The billionaire investor was barred from accepting investor capital unit Jan. 1. However, every indication suggests he'll be back in 2018. But don't expect Cohen to employ 'expert networks' this time around. The SEC will be watching. 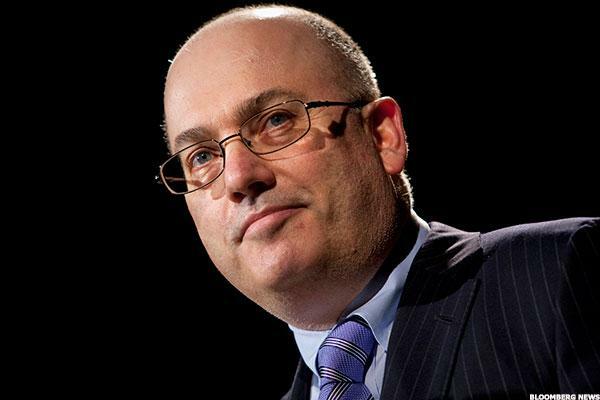 In 2013, an insider-trading scandal took apart billionaire Steve Cohen's otherwise incredibly successful hedge fund. But surprising, perhaps shockingly, at least for those who haven't followed the situation closely, Cohen is back. A 2016 settlement with the Securities and Exchange Commission will allow the beleaguered money-manager to accept outside money starting in January. Cohen hasn't said whether he wants to take on other investors, but the consensus opinion is that he will the second he's permitted. Expect to find lots of willing investors ready to allocate capital to his funds - and the intense glare of the nation's securities regulator watching his every move. "I say this with a certain pessimism, but I think he'll have no difficulty marketing his fund to a certain kind of investor," said Columbia Law School Professor John Coffee. "The investors don't take the risk of criminal liability, Cohen and his fund managers do." In 2013, Preet Bharara, then the U.S. attorney for the Southern District of New York, issued an indictment of Cohen's fund, S.A.C. Capital Advisors, the only time a whole hedge fund had been charged with insider trading. Specifically, the SEC charged Cohen with failing to supervise employees, some whom were convicted of insider trading while working for the fund. "Bharara came within a whisker of charging Cohen," Coffee said. "It was a judgment call, and he didn't want to take the risk of losing a high-profile case." At the center of the SEC's charges involved so-called "expert networks," firms that provide specialized information about companies and industries to hedge funds, mutual funds, and other investment firms in exchange for large fees. In the case, the SEC alleged that an S.A.C. Capital portfolio manager, Mathew Martoma, traded on confidential information about a drug trial provided by Dr. Sidney Gilman. Gilman was chairman of a safety-monitoring committee overseeing the clinical trial and a paid consultant to an expert networking firm that Cohen's hedge fund employed. Flash forward to 2017. Cohen manages a "family office," Point72 Asset Management LP, based in Stamford, Conn., under an SEC exemption that lets him advise family members only. Cohen's family office, however, has over 1,000 employees and offices in New York, London, Hong Kong, Tokyo, and Singapore. Point72's capital can sometimes be found at companies targeted by an activist investor. The firm reported a significant stake in Pandora Media Inc. (P , where Corvex Management's Keith Meister has been agitating. It also owns stakes in BroadSoft Inc. (BSFT , Brookdale Senior Living (BKD - Get Report) CenturyLink Inc. (CTL - Get Report) and Bob Evans Farms BOBE, all also recent targets of activist efforts. Post Holdings on Tuesday announced it was buying Bob Evans for $1.5 billion, at a significant premium. Should the high-profile money-manager start accepting external investors, expect the SEC to be watching intensively, taking special notice if Cohen's fund engages the same kinds of expert networks that got him into trouble in the first place. "If I were Mr. Cohen I would be quite careful about employing expert networks," said Tom Gorman, a partner at Dorsey & Whitney LLP and a former senior counsel at the SEC in Washington. "The SEC may well want to look at the sources behind the information coming from the expert networks." Gorman suggested that the agency may have less concern about those networks if its analysts are not also employed in a particular industry. However, if, for example, the networks bring in doctors who are supervising trials for drug companies that would be a red flag, he added. And Columbia's Coffee agrees that the commission will be watching. "The SEC is like the elephant, it never forgets. They'll always have him in mind," Coffee said. Looking back at the Cohen case, prosecutors, ex-SEC lawyers, and academics all contend that it would likely have been a lot easier for the government to prove its insider-trading case today, following a federal appeals court decision last month to uphold Martoma's conviction. Specifically, in a 2-1 decision, the U.S. Court of Appeals for the Second Circuit found that a lower court's ruling should stand and that the government had "presented overwhelming evidence that at least one tipper had received a financial benefit" from providing confidential information to Martoma. "Based on this [August] result, the SEC may have gotten what they initially requested in the case -- to bar him [Cohen] from the securities business," Gorman said. Nevertheless, Gorman noted that the August court decision wouldn't have any direct impact on Cohen's situation because he settled with the SEC in a January 2016 deal that prohibited the billionaire money manager from accepting outside money for two years. Had that settlement come after the August decision, Cohen might not be posed to return to the investment advisory game. Now, Cohen appears to be taking steps to accept outside money. In March, he set up a hedge fund next to Point72 called Stamford Harbor Capital, of which he owns 25%. "One reason to set up a hedge fund like Stamford Harbor Capital is to establish a track record for a particular kind of strategy before seeking to accept outside money," Gorman said. "This way the adviser can tell outside investors that the fund, with a particular trading focus, has achieved a certain return over a period of time." Also, Cohen reportedly hired ShoreBridge Capital Partners to gauge and identify interest among outside investors in such a fund. Prospective clients have reportedly already begun receiving marketing material, and Bloomberg reports that Cohen could raise between $2 billion and $10 billion. Shorebridge did not return calls. Many investors are sure to express an interest. Kerrisdale Capital founder Sahm Adrangi, a prolific activist, and short-seller said he expects that Cohen's fund will meet tough compliance requirements for big funds that take in outside money. That level of oversight should comfort investors interested in allocating capital but wary of Cohen's background. "These platform shop firms have a very strict compliance infrastructure," Adrangi said. "They have a lot of officers and software and technology they use to monitor everyone across-the-board with respect to compliance." For now, expect investors -- and the SEC -- to be paying close attention. For more coverage like this sign up for the Activist Daily.